Island View Beach Regional Park is located on the eastern coastline of the Saanich Peninsula in Sidney, BC on Vancouver Island, Canada. The beach park is popular for beachcombing, picnicking, birdwatching and swimming. Island View Beach Regional Park is 51.73 hectares. The park is home to a sandy beach, sand dunes, wetland, and shrub ecosystems. 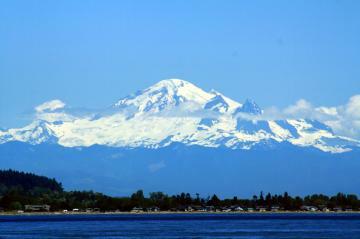 From the beach visitors can enjoy panoramic views of Haro Strait, James Island and Mount Baker. There is a loop walking trail which explores the beach and then returns back along an inland trail passing through a salt marsh and backdunes. At the trailhead of the lopp walk is a picnic area. There is a full service RV and tent campground. There is also a boat launch which provides access to Cordova Channel and Haro Strait. Island View Beach Regional Park in Saanich, BC on Vancouver Island, Canada. 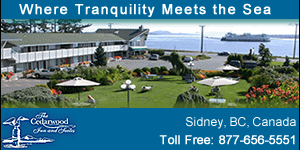 How to Get Here: From Victoria drive Pat Bay Highway & take a right on Island View Road. Take the next left on Homathko Road, which leads to the parking lot.